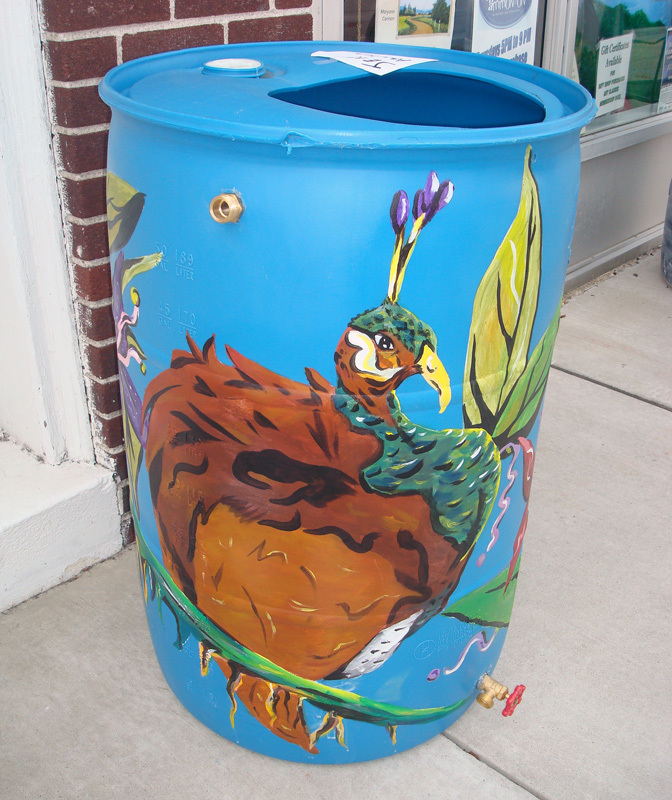 The Hammton Art Center is hosting a huge painted rain barrel fund raiser. 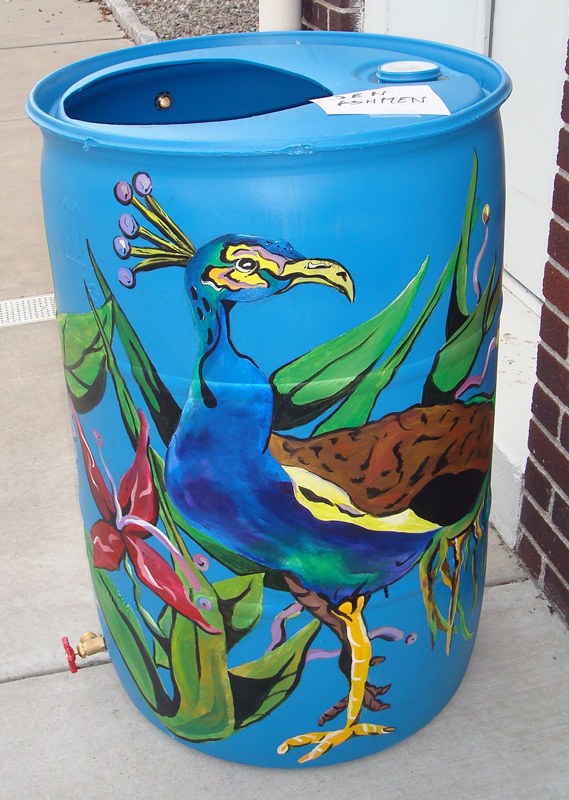 Below is the barrel I designed, painted, and donated. 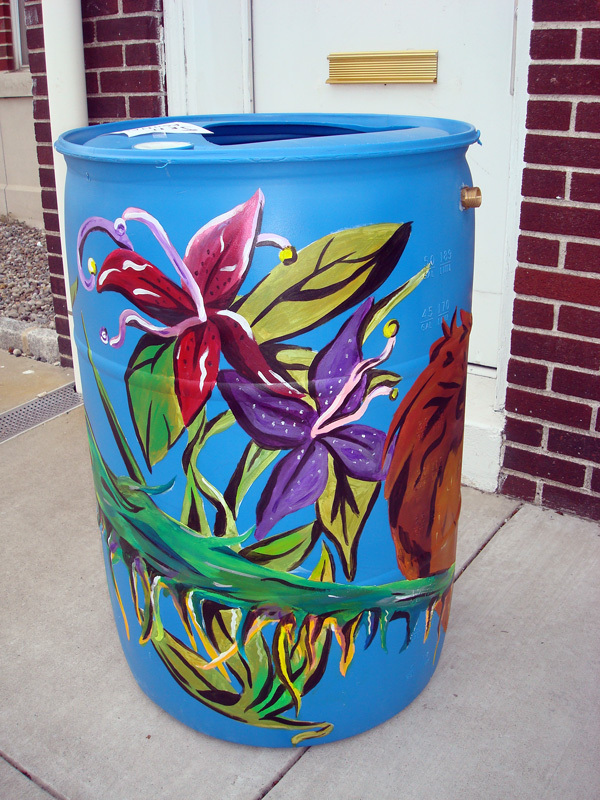 The bidding for the rain barrels begins shortly and ends on Septmber 18th. I’ll link the auction once it is up. 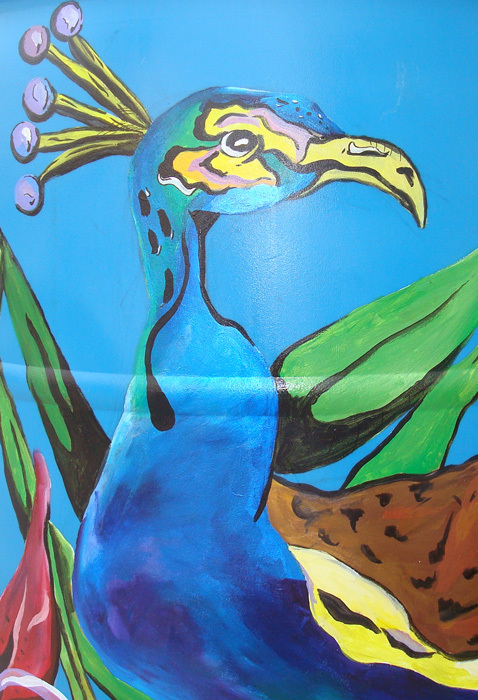 My Preening Peafowl barrel is losely based on these drawings I made earlier in the year. This was a watercolor painted in the rain. 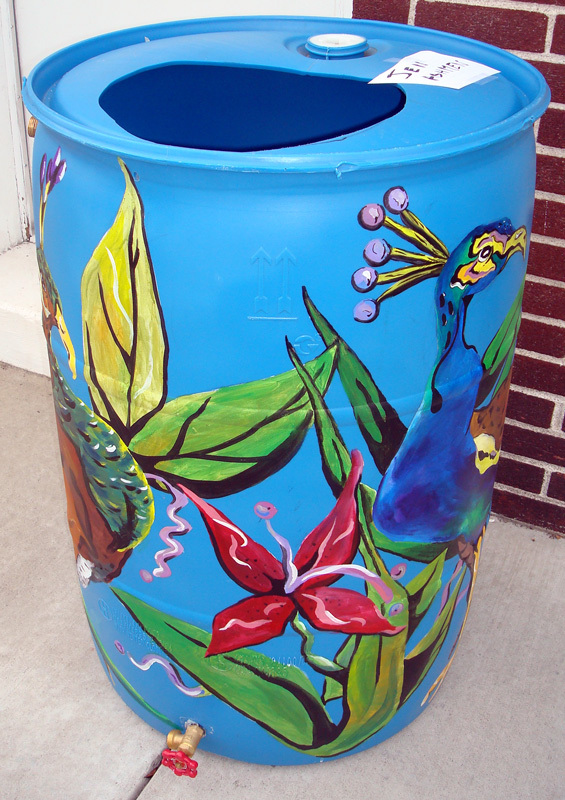 Collingswood Water. Watercolor on paper. 2008.